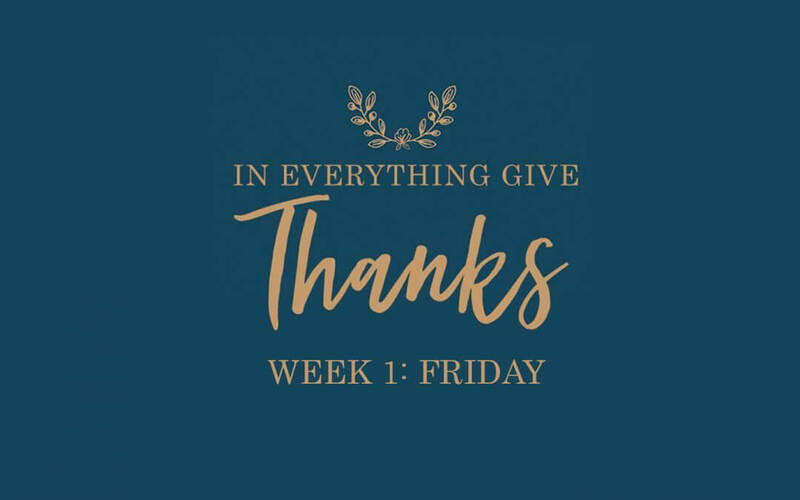 We’re excited to release our two week In Everything Give Thanks Journal! You’ll receive our easy to follow reading plan, weekly reflection questions, prayer & praise section, as well as plenty of room to journal your daily, personal SOAP reflections as you dive deeper into God’s Word! These beautiful, journals even include a recipe for you to try with your friends from one of the many countries Love God Greatly serves! Our gorgeous, brand NEW study journal to accompany our 2-week, In Everything Give Thanks Online Thanksgiving Bible study is now available!! 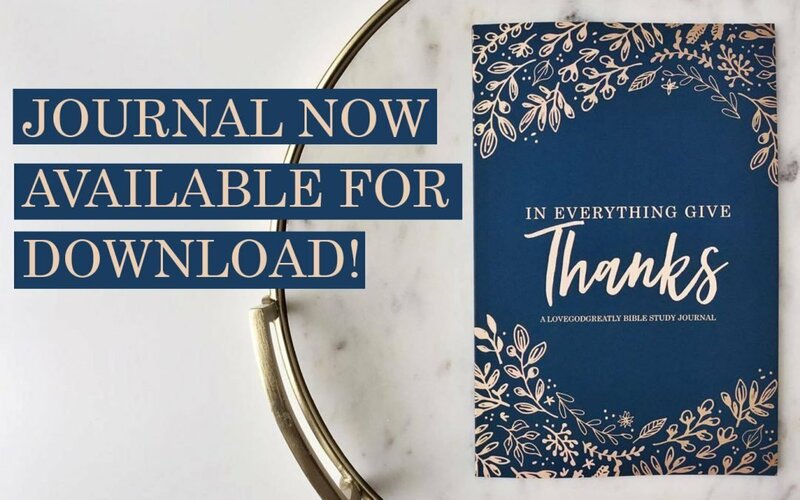 For less than $9, you’ll receive 60 pages of amazing content, including our journaling SOAPing pages, memory verse coloring pages, weekly Bible reading plans, reflection questions and MORE!! And best of all — 100% of the proceeds from our journal sales go directly back into the ministry so that we can serve you better! Does God really want us to give thanks for things like relationships that cause us pain, heartaches, empty bank accounts, and sick bodies? EVERYTHING? In this two-week Love God Greatly Online Thanksgiving Bible study, you’ll learn what God’s Word has to say about cultivating a life of thankfulness and how YOU can intentionally begin applying these uplifting truths in your everyday life. You’re invited to journal with us as we dive into God’s Word together… reading and writing what God speaks into your heart along the way. What words will you say today? Special Guest Video + TRANSLATIONS! 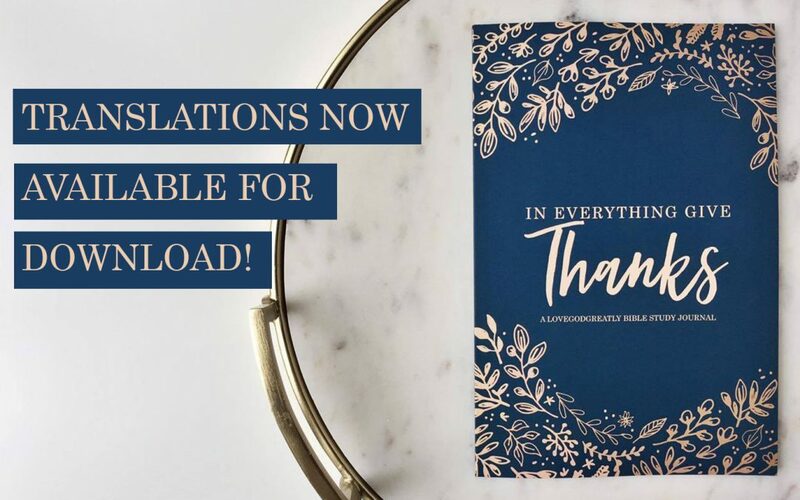 In Everything Give Thanks – Materials Now Available!